These articles focus on particular aspects of Anthony Burgess’s life and work, including his biography, novels, music, films, and religious beliefs. Burgess was a talented and prolific composer who wrote over 250 musical works during a compositional career that spanned more than 60 years. Burgess wrote music across many genres and in many styles. His oeuvre includes symphonies, concertos, opera and musicals, chamber music including a great deal of work for solo piano, as well as a ballet suite, music for film, occasional pieces, songs and much more. As the conductor, composer and writer Paul Phillips has noted in his recent study of Burgess’s music, A Clockwork Counterpoint (2010), ‘his eclectic and ebullient style draws upon classical as well as jazz and popular music. Grounded in the tradition of tonality that spans the Baroque period through late 19th-century Romanticism and early 20th-century French Impressionism, Burgess’s music is strongly influenced by the works of Debussy and the English school of Elgar, Delius, Holst, Walton, and Vaughan Williams’. 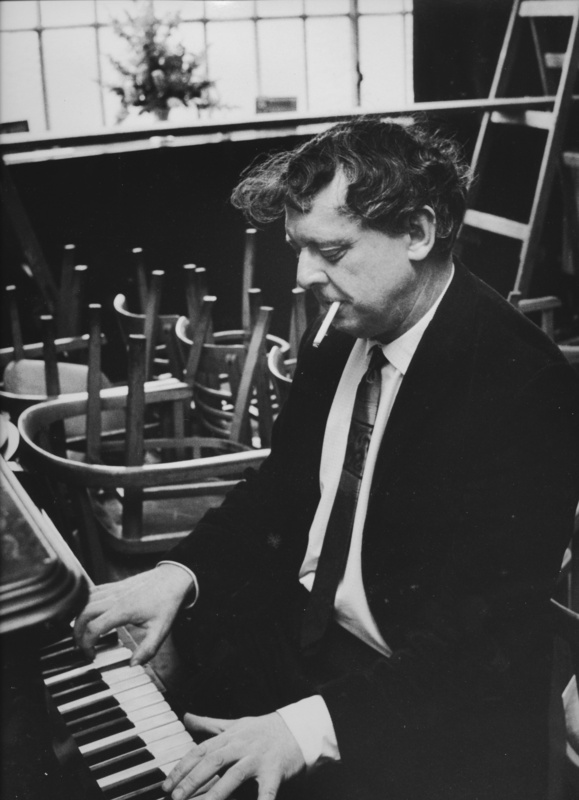 Burgess became a competent if not a concert pianist, favouring large chords, jazz sounds and rhythms, and developed an ear for standards. He wrote music throughout his teens and while studying English literature at Manchester University, producing among other works choral pieces, settings of Eliot and Pound for chamber ensembles, and a draft of Dr Faustus, a projected one-act opera. All of these early compositions are now lost, and it is not clear how many of them were in fact completed: the only source for many of Burgess’s pieces is his list of them in This Man and Music, his musical autobiography. 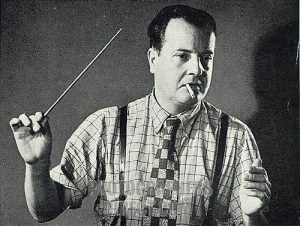 During the 1939-45 war, Burgess was musical director of the 54th Division Entertainment Section of the British Army, arranging many pieces for dance band. In 1945 he wrote a Sonata for Violincello and Piano in G Minor which has recently been discovered in the archives at the Burgess Foundation. By some years this is the earliest surviving complete work by Burgess. Burgess’s career as a writer developed after the war while he worked as a teacher in England, Malaya and Brunei, but alongside this he continued to write music including orchestral works, chamber pieces, settings of Eliot, Auden and Shakespeare, and pieces for the piano. Beginning in the 1960s he began to write music for film, television and the theatre, including a musical version of Shakespeare’s life, music for a television series about Moses starring Burt Lancaster (Burgess’s music was turned down by producer Lew Grade), and the incidental music for a successful production of Cyrano de Bergerac, using his translation, in Minneapolis. Symphony No. 3 in C (1974-75), commissioned and performed by the University of Iowa Symphony Orchestra, was the first public presentation of an orchestral work by Burgess. He said of the performance: ‘I had written over 30 books, but this was the truly great artistic moment […] I wished my father had been present. It would have been a filial fulfilment of his own youthful dreams.’ Burgess began composing with renewed vigour, by 1980 completing (amongst other works) a piano concerto, a violin concerto, chamber pieces based on his character Enderby and Eliot’s The Waste Land, and a ballet suite for orchestra based on the life of Shakespeare. Blooms of Dublin, a musical based on Joyce’s Ulysses was completed in 1982, Joyce’s centenary, and broadcast twice on radio. In 1986 Burgess reworked his novel A Clockwork Orange as ‘a play with music’, with incidental pieces based on Beethoven and ending with ‘a man bearded like Stanley Kubrick playing, in exquisite counterpoint, ‘Singin’ In The Rain’ on a trumpet’ being kicked off the stage by the other actors. 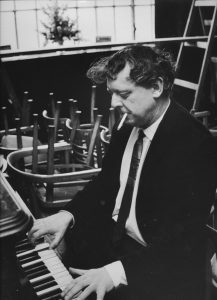 Commercially available recordings include The Piano Music of Anthony Burgess (2015), played by Richard Casey and released by Prima Facie; The Man and His Music, an anthology including four recorder pieces by Burgess, played by John Turner and Harvey Davies and released by Métier; and Orchestral Music, including the pieces Mr W.S., Marche pour une révolution and Mr Burgess’s Almanack played by the Brown University Orchestra and released by Naxos USA. There have been occasional performances of Burgess’s music all over the world since his death in 1993, and increasing attention is now being paid to this important and little-known aspect of Burgess’s creative life. Scores of many of Burgess’s works can be found on our music pages. A Clockwork Counterpoint: The Music and Literature of Anthony Burgess (2010) by Paul Phillips is available from Manchester University Press. Despite his fame as a literary figure, Anthony Burgess has been remarkably unrecognized and underappreciated as a composer. Known to the public almost exclusively as an author, Burgess was also a talented and prolific composer who wrote over 175 musical works during a compositional career that spanned more than 60 years. The literary and musical sides of Burgess’s creative life are far more evenly balanced than they appeared in public and to a large degree are interrelated, as future studies of Burgess’s books and compositions will be certain to illuminate. Burgess’s music covers a wide range of genres, including symphony, concerto, opera, ballet, and chamber music. His eclectic and ebullient style draws upon classical as well as jazz and popular music. Grounded in the tradition of tonality that spans the Baroque period through late 19th-century Romanticism and early 20th-century French Impressionism, Burgess’s music is strongly influenced by the works of Debussy and the English school of Elgar, Delius, Holst, Walton, and Vaughan Williams. Although the majority of his music is what might be termed “serious”, he wrote numerous works based on popular styles; sometimes jazz and blues-inflected harmonies reminiscent of Gershwin emerge unexpectedly in Burgess’s symphonic compositions. Burgess’s initial fascination with music was sparked by listening to the Prélude à ‘l’après-midi d’un faune’ on his self-made crystal radio in early 1929. The sensuality and originality of Claude Debussy’s eight-minute masterpiece made a powerful impression on the twelve-year-old Burgess (actually John Burgess Wilson, as he was known until the age of thirty-nine). As a highly imaginative young man afflicted with daltonism, or colorblindness, Burgess took delight in the evocative blend of orchestral color in the Prélude. “My impaired colour sense was already finding, in the quiet impact of Debussy’s orchestra, an auditory compensation.” Having heard Debussy’s vivid orchestral timbres, he felt compelled to see them as well, and undertook a mostly self-taught study of music notation. Determined to become a great composer, Burgess worked his way through Handel, Beethoven and Schumann while aiming to be ‘modern’ like Stravinsky and Schoenberg. Debussy remained his principal influence – “it seemed to me that he was the primal force that charged all musical innovation.” One of Burgess’s lasting musical memories was attending the premiere of Constant Lambert’s Rio Grande with his father in November 1929. Lambert’s music, like Gershwin’s, combined jazz with classical traditions in a way that Burgess himself would undertake nearly five decades later in his Concerto for Pianoforte and Orchestra in E flat. Burgess came by his musical talent honestly, that is to say, genetically. His mother Elizabeth was a music hall performer known in her native Scotland as the “Beautiful Belle Burgess”. She was a dancer and singer, a member of the chorus who rose to the status of soubrette. Burgess’s father, Joe Wilson, was a piano player from Manchester who accompanied silent films and played in the orchestra pits of music halls by night while plying such trades as bookkeeper, cashier and tobacco shop manager by day. It was while playing piano in a Glasgow music hall that Joe Wilson first caught sight of the blond, beautiful Elizabeth Burgess “by way of her ankles”. By the time Joe returned home to Manchester, Elizabeth had become his wife. Sadly, Elizabeth Burgess never had an opportunity to pass her knowledge on to her son. He was less than two years old when she and his older sister Muriel, born in 1914, died of Spanish influenza in the pandemic that struck in early 1919. Knowing her only as an insubstantial memory, Burgess in later life was attracted to fictional characters whose lives bore a resemblance to his deceased mother, especially Molly Bloom, the music hall soubrette who is the principal female character of James Joyce’s Ulysses. Of his mother, Burgess wrote that, “It would be easier to recreate her in fiction, relating her to Molly Bloom and Rosie Driffield, than to wrestle with a virtually non-existent reality.” Burgess’s lifelong fascination with the book and its heroine culminated in his operetta Blooms of Dublin, a musical version of Ulysses that was produced jointly for radio by Radio Telefis Eireann and the BBC for the Joyce centenary in 1982. The only music lesson Burgess’s father ever gave him occurred shortly after the epiphany of hearing the crackling transmission of Debussy’ Faune over the crystal radio. Just before going off to the neighborhood pub, Joe Wilson pointed out to his son the slow movement of Beethoven’s Fifth Symphony in a volume of The Music Lover’s Portfolio. Pointing to the second theme, he played it on the piano with a cigarette dangling from his lips. “‘All you have to do is copy it out. That, by the way,’ pointing with a nicotined index, ‘is middle C. Under the treble stave or over the bass stave, it’s still middle C. And here it is on the joanna.’ He prodded and it sounded.” Armed with the knowledge of middle C bestowed to him by his father, Burgess figured out the rest by himself. His novel The Pianoplayers, an homage of sorts, was published in 1986. This novel, which contains a short piece of music for “fiddles” (playing only the open strings) and piano on its final pages, is the rather harrowing story of a child and pianoplaying father. Recalling Burgess’s own experience, it includes a detailed description of teaching oneself scales and chords navigated from the fixed star of middle C.
Failure to pass a course in physics kept Burgess from pursuing music studies in college; music students were to have the knowledge of acoustics that a course in physics was expected to provide. He turned to the department of English instead, earning a B.A. with honors for a thesis on Christopher Marlowe. He continued writing music, however, composing a choral setting of lines from Ezra Pound’s Cantos, a string quartet, twelve-tone studies for piano, Caedmon’s Hymn for male voices, an Irish song for soprano and flageolet, a piano sonatina, incidental music for Flecker’s Hassan, words and music for a group of cabaret songs in English and another group in German, a chamber music setting of Eliot’s Lines for an Old Man, and the draft of Dr Faustus, a projected one-act opera, by the time of his graduation from the University of Manchester in 1940. Induction into the British Army during World War II did not interrupt Burgess’s musical creativity so much as divert it in the direction of dance and popular music. As musical director of the 54th Division Entertainment Section (1940-43), he wrote and arranged many pieces for dance band. 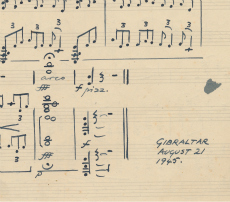 Reassigned to Gibraltar (1943-46), he wrote a Cello Sonata in G minor, Passacaglia for orchestra, Gibraltar Overture for large orchestra, and numerous smaller works. From 1946-54, Burgess held a series of academic positions in England in Bedwellty and Banbury, teaching music, speech, drama, English literature and phonetics while beginning to write fiction. (His first novel, Vision of Battlements, dates from 1949). Musical works from this period include Ludus Polytonalis for recorders, Moto Perpetuo for large orchestra, Partita for string orchestra, Wiegenlied for piano, and incidental music for Murder in the Cathedral (Eliot), The Ascent of F6 (Auden), and A Midsummer Night’s Dream (Shakespeare). As an Education Officer in Malaya and Borneo from 1954-59, he composed Malayan-influenced works such as Kalau Tuan Mudek Ka-Ulu: five Malay pantuns for soprano and native instruments; Suite for Small Orchestra of Indians, Chinese and Malays; and his second symphony, Sinfoni Malaya for orchestra and brass band. He began writing more seriously in the mid-1950s. With his first major publication, the novel Time for a Tiger in 1956, he adopted the pseudonym Anthony Burgess, adapted from his confirmation name Anthony and given name John Burgess Wilson. Following a physical collapse in Borneo, Burgess returned to England in late 1959, was diagnosed with an inoperable brain tumor, and given less than a year to live. Determined to provide an income for his first wife Lynne (née Llewela Isherwood Jones, 1921-1968), he wrote furiously, producing five and a half novels within twelve months, at the end of which time there were no longer any signs of ill health. Now an established author, he continued writing, producing novels, non-fiction, essays, and reviews of literature, television, and drama. As his fame and reputation as a writer grew, his musical production temporarily declined. The few works he composed in the sixties include Fantasia for two recorders and piano, Concerto for flute and strings, Twelve-Tone Polyrhythmics for piano, Preludes for piano, Passacaglia for orchestra, Song of a Northern City for piano, and Minuets in E minor for guitar. Beginning in the late sixties, Burgess wrote scripts and music for a number of film, television, video and theatre projects: Will! (1968), a film musical on the life of William Shakespeare based on his novel Nothing Like the Sun (music recorded but film never produced); Moses the Lawgiver (1973), a TV series starring Burt Lancaster (music rejected by producer Lew Grade); and The Eyes of New York (1975), an hour-long video produced by Mondadori (music recorded, video completed but never released). In 1971 he composed the incidental music for an acclaimed production of Cyrano de Bergerac, using his translation, at the Tyrone Guthrie Theatre in Minneapolis. He wrote that the $500 he received for the music, the first income he had ever earned for composing, “thrilled me far more than the far more substantial earnings that would accrue from the play.” The success of the production led to a Broadway musical, with book and lyrics by Burgess and music by Michael Lewis. Cyrano, starring Christopher Plummer in the title role, opened in New York at the Palace Theatre on May 13, 1973 to mixed reviews. It closed after 49 performances; a cast recording was issued by A&M Records. Other compositions from this period include a choral setting of Bethlehem Palmtrees (Lope de Vega, transl. Ezra Pound), a Malay pantun for voice, alto flute, and xylophone composed for soprano Cathy Berberian, music for an Italian production of John Osborne’s play The Entertainer, and a suite for piano duet. Symphony No. 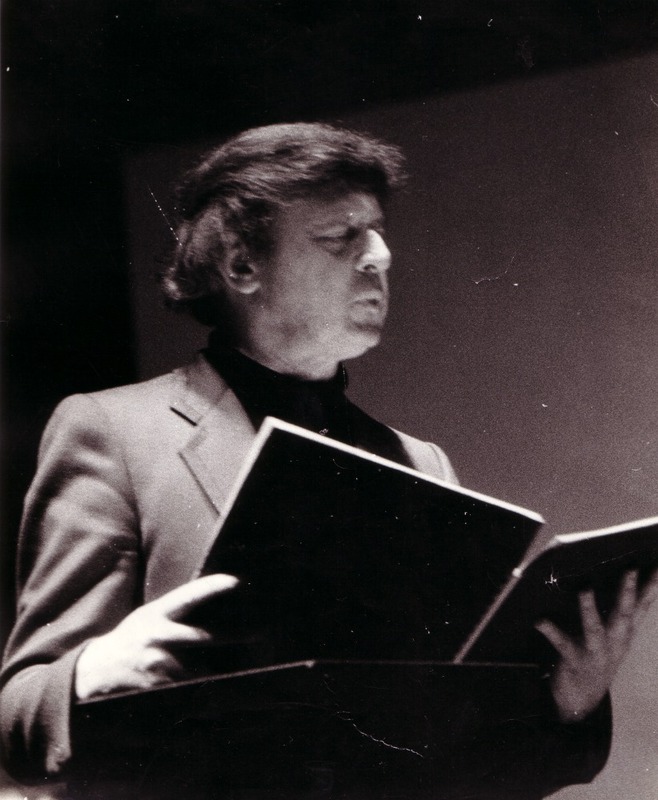 3 (1974-75) marks a turning point in Burgess’s compositional career. Commissioned in 1974 by conductor James Dixon for the University of Iowa Symphony Orchestra and completed in April 1975, the symphony was premiered in Iowa on October 22, 1975. It was the first public performance of any of Burgess’s orchestral works and an overwhelming experience for the composer: “I had written over 30 books, but this was the truly great artistic moment.” Doubts about his musical competence, fueled by years of neglect and rejection of his compositions, were dispelled by the successful performance of the symphony. 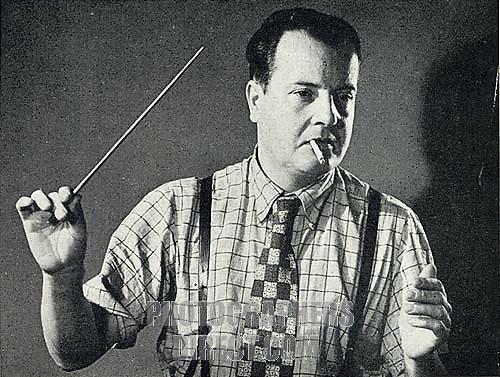 From that point on, Burgess began to compose with a prolificity that would make many a full-time composer proud. That he did so while writing another 30 books and hundreds of reviews, essays, and articles is a phenomenal achievement. Compositions of the seventies include Concerto for Pianoforte and Orchestra in E flat (1976); three works for chamber ensemble – The Brides of Enderby (1977); The Waste Land (1978); Quartet Giovanni Guglielmi (ca. 1978); Song for Saint Cecilia’s Day (1978); Master Coale’s Pieces, for piano (1978); Concerto for Violin and Orchestra (1979); and Mr W.S. – Ballet Suite for Orchestra (1979). A series of works for harmonica written for harmonica virtuosi John Sebastian, Tommy Reilly and Larry Adler, date from these years into the early eighties. In 1971, Burgess wrote the text for MND Show, a “madrigal comedy” based on Shakespeare’s A Midsummer Night’s Dream; the music was by Stanley Silverman, a theatre composer he knew from the Guthrie. In 1972, Silverman wrote the music for the Guthrie production of Oedipus Tyrannus based on Burgess’s translation; subsequently Burgess and Silverman turned the work into a cantata for speaker, chorus and orchestra, Oedipus the King, which premiered in New York in 1973. They planned to collaborate on an off-Broadway musical called Trotsky’s in New York! for which Burgess wrote the text in 1975, but he ended up writing the music for the two-act show himself, completing it around 1979-80. The libretto was later published as one of three intertwoven plots in The End of the World News (1982). A still grander project occupied Burgess from 1973-82 – Blooms of Dublin, a full-length, two-act musical based on Ulysses by James Joyce, a writer of enormous influence on Burgess. The musical style of the show stems less from opera than “the tonalities of the music hall”, a tradition inherited from both his parents. The radio production of Blooms of Dublin was produced in 1982 and broadcast twice – on February 2, Joyce’s birthday, and June 16, Bloomsday. To date, no stage production has ever taken place. Works of the eighties include a String Quartet (1980), Nocturne for four Bassoons (1980), A Glasgow Overture for orchestra (1981), In memoriam Princess Grace for strings (1982), The Wreck of the Deutschland (1982), music for the film A.D. (1983), Man Who Has Come Through (D. H. Lawrence) for tenor and chamber ensemble (1983), an unfinished Symphony (1984), In Time of Plague (Nashe) for chorus (1984), 24 Preludes and Fugues – The Bad-Tempered Electronic Keyboard (1985), three guitar quartets (1986, ’88 & ’89), Guitar Concerto (1987), Mr Burgess’s Almanack for 14 players (1987), Concerto Grosso for guitar quartet and orchestra (1987), Quartet for Oboe, Violin Viola & Violoncello (1987), A Little Concerto for Oboe and Orchestra (1987), La pioggia nel pineto (D’Annunzio) for tenor and piano (1988), Concertino for English Horn and Orchestra (1988), Petite Symphonie pour Strasbourg (1988), Meditations and Fugues for Brass Band (1989), Marche pour une Révolution 1789-1989 for orchestra (1989), and A Manchester Overture for orchestra (1989). He also wrote guitar quartet arrangements of Oberon Overture by Weber, “Mercury” from The Planets by Holst, and Irish folksongs.